As you know that First version of android was named "cupcake" and then it was "Donut" and current version is "Éclair". 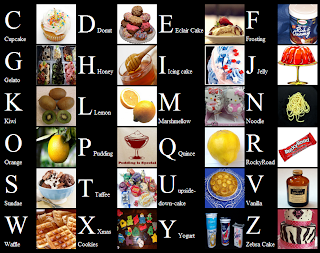 People found a pattern in naming; they are alphabetical names of cake. Now many people on internet came up with the names up to the Z.
I am completely unaware of some of these names; I really don’t know how they look like. So here i made a small YQL hack to get images with these names to visualize them. Here I am using closure to get a call-back function which will render the my images. What is "Inbox Zero problem"? How To solve it by Twitter-way? Inbox Zero problem is a usability problem, of which every mail system is infected with. Let me try to explain what it is? Today, we get at least 40-50 mail every day, and our mail system marks every mail as unread when it arrives to your inbox. Now problem is, you are tempted to read all those mails to bring your inbox to zero unread count. This goes into a never ending loop often because by the time you will be able to finish each and every mail, you’ll get some new ones. This is a problem many other social networking platforms are infected with, may be not with the unread message count but by some other ways. 1. Those items are not specifically posted to you (not talking about @replies). 2. Tweets are very spontaneous status update from people; significance of (most) tweets expires after sometime. This is how people on twitter able to manage more and more people. I personally follow more than 600 tweeps around the world. Now, there is a problem!! Different people tweet at different pace, and many tweeters are so frequent on twitter is that they literally flood my timeline and kick other's tweets (from people whom i care more) out of my visible timeline. This problem is solved by lists, I group important tweeps in a list. Concept of list itself came from people and twitter client like TweetDeck & Seesmic. Think lists like this, On twitter you have public timeline which is the fastest moving timeline, and you filtered some of them to bring in our "friends" timeline by following them. When things became messy you sorted them into few smaller lists. Twitter evolved from people's behaviour, like @replies, retweeting and many more became the built-in feature of twitter because we tweeps started using it. So none of my time line is actually having inbox zero problem. Now let’s come back to e-mail system, every day in office i really get more than 100 emails including companywide mails, group mail , mails from an on-going thread of discussion (where I don’t have anything to do). Now what?? My mail client (outlook) is so cluttered with e-mail that finding the right email becomes very difficult. Ok , we have a solution “make rules to skip inbox for some known group & automated mails” BUT creating rule is not going to solve my problem because I am very lazy and don’t want to create rules even once in a six month (yes, that lazy i am). Last rule i created some 6 months back : P.
So what is the solution? Solution is simple; I call this solution "@actionItem". Which is like this, every mail which has some action item for me as individual then please include my name in a field called Action Item (like CC & To list). That’s It i will give priority to those mails first and then i will move to all other mails, and choose to skip if i don’t have much of time to spend. Inbox zero problem solved. Tweeps: people who use twitter. Tweet: Every small status update (post ) is called tweet. ReTweeting: when you post oneones update again is called re-tweeting. often done in "RT @TweepName : blah balh format". @replies : pronounced as 'at replies', are tweets which has your name mentioned, preceded with a '@' sign. View more presentations from merlinmann.